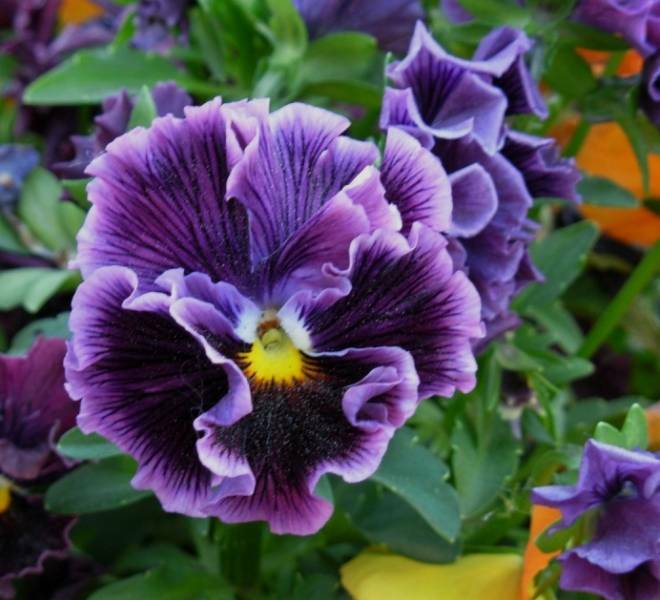 Why wildflower is called "Ivan da Marya"
Blue eyes have another name – viola. This plant is one of the first places in floriculture and is one of the earliest flowering. The combination of colors and the variety of colourings is just huge: from white to black with all shades of blue, yellow and red. In the center of the flower is a mark of the original colors and shapes. Sow blue eyes on his land and enjoy the beauty of these charming colors. Blue eyes are a perennial, but most often in the third year they lose their smartness and bad winter. These plants can be sown in two ways. At first they were sown in the greenhouses in the period from February to March, they begin to bloom in mid-summer and continue to bloom until the frost. In the second case, sow them in the garden in the period from end of June until the end of July. But in this case they will bloom the next year in the month of may. Blue eyes are best grown in a lightly shaded or Sunny places. In full sun they have, the flowers will be bright and large, and in the shade they will take longer to bloom, but the flowers are smaller and not as bright. These flowers do not tolerate water stagnation, especially in the spring. In the middle lane blue eyes are best grown as a biennial plant. Seeds to sow in summer to early July. For late planting seedlings, rather, will malacolite and will not have time to Mature before winter. At the earlier planting flowers erupt and go into the winter weakened. For spring flowering time the seeds are planted randomly or grooves in a slightly moist soil. If you decide to use blue eyes as annual crops need to be sown in March, in a greenhouse or room. In may, we can safely planted in the soil on the site. Blue eyes develop better in a fairly loose and rich in humus soil. If you want the flowering period lasted for as long as possible, regular watering and fertilize the plant, systematically remove the ensuing seed pods and spent flowers. In ancient times antinym eyes attributed the property bewitch love, had only to sprinkle the juice of this flower the eyelids of a sleeping person and wait for his waking up, he will love forever.